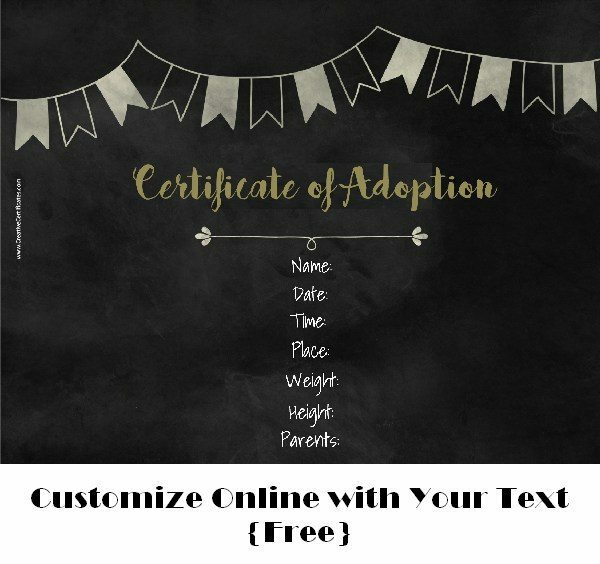 You can customize all text on these adoption certificate templates. 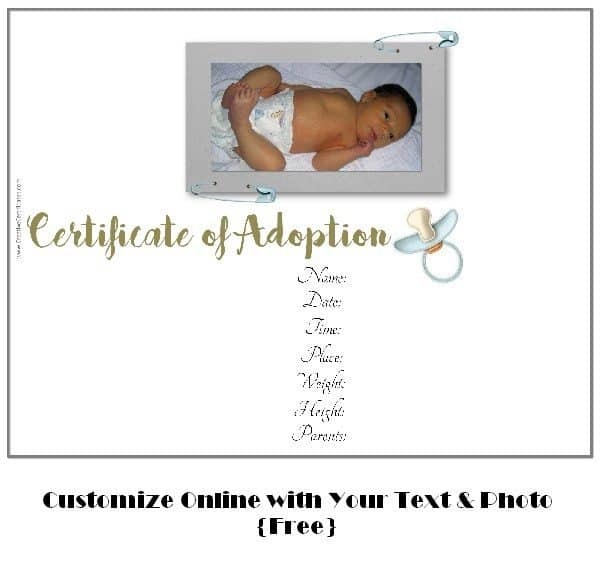 There are adoption certificates for every purpose on this page: for a baby, child, pet or even a stuffed animal. Change the text as required. You can also erase some of the text or add additional text. 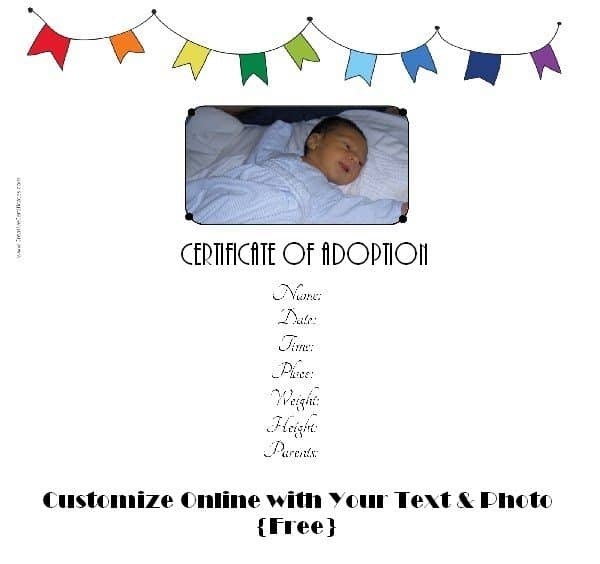 Add a photo of the adopted child, pet or stuffed toy. 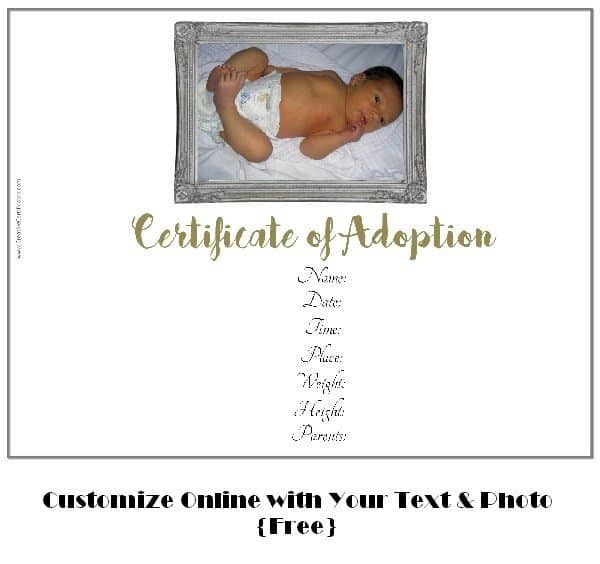 You can also use our customizable birth certificate template and adapt it to your needs since the text is customizable. 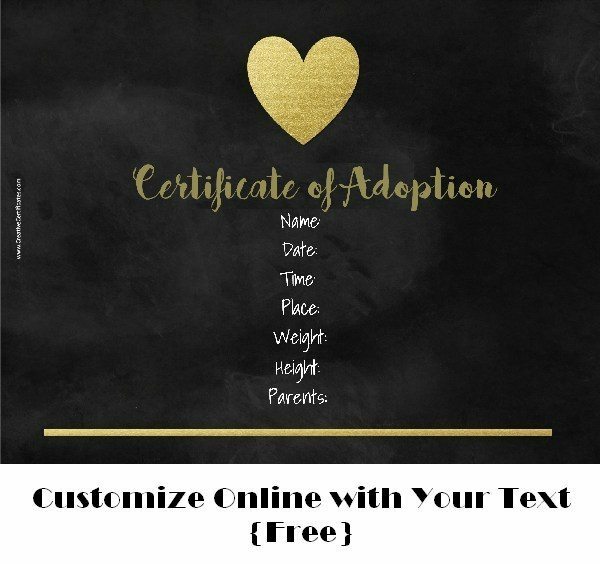 This dog adoption certificate can be given to a child for adopting a puppy. 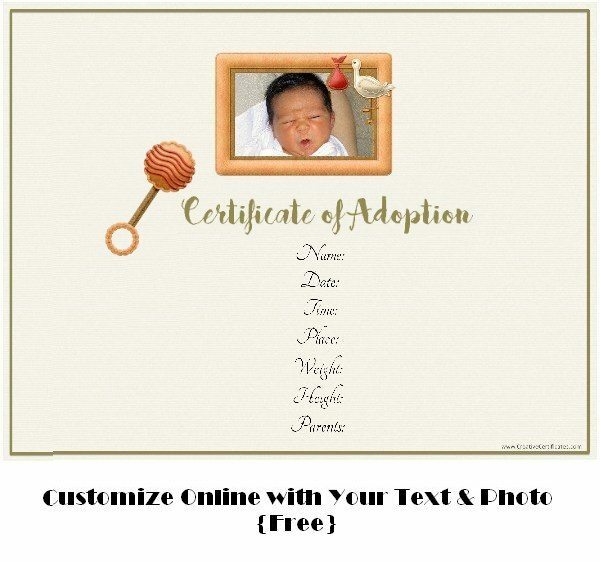 It can be used by parents or by an animal shelter to encourage people to adopt a pet. 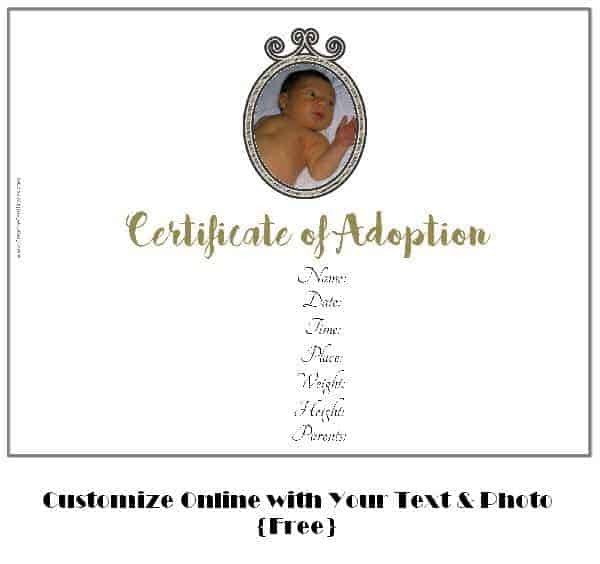 Use these certificate templates for the adoption of various pets such as a kitten, rabbit, hamster, fish, cat, etc. If the adoption certificate is for a child who has adopted a pet you might want to include a sentence about the child’s commitment to look after the pet and provide it with food, water, shelter and love. Click on “add text” and add any text that you want to include. Once you have typed the text then drag it to wherever you would like it to appear. 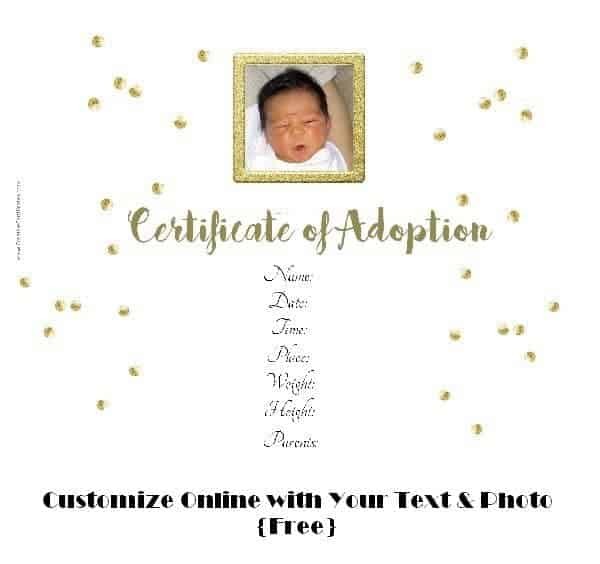 Please note that these are fake adoption papers just for fun. 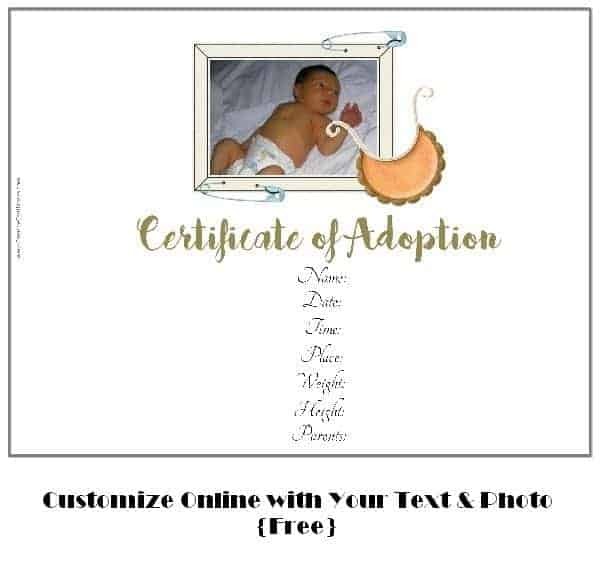 They are provided for kids who adopt animals or stuffed toys or for parents who adopt a child and want an unofficial adoption certificate template.